Sputnik launched on 4 Oct 1057. On July 29, 1958, Eisenhower signed the National Aeronautics and Space Act, the creation of NASA. The Soviets launched the first human into orbit, Yuri Gagarin, on April 12, 1961. On 5 May 1961, Alan Shepard’s Freedom 7 Mercury capsule lifted off at 9:34 a.m. from Launch Complex 5 at Cape Canaveral Air Force Station, and flew a suborbital trajectory lasting 15 minutes and 22 seconds, America’s first man in space. On 25 May 1961, Kennedy delivered a speech to a joint session of Congress. In that speech, he stated “I believe that this nation should commit itself to achieving the goal, before this decade is out, of landing a man on the moon and returning him safely to the earth.” The rest, as they say, is history. Today, NASA is working on many fronts to advance man’s presence in space. The International Space Station in some form has been in orbit now for nearly 20 years. NASA has multiple partners in the commercial sector under the Commercial Crew Program. Boeing and SpaceX are the primary partners, with Sierra Nevada Corporation, Blue Origin, and others also playing a role. The Orion Program, together with the Space launch System (SLS) Program, is moving closer to the next experimental flight, EM-1, preparatory to the first manned mission, EM-2. NASA’s Exploration Campaign, the next step in human spaceflight, will establish U.S. preeminence in cislunar space through the operations and the deployment of a U.S.-led Lunar Orbital Platform-Gateway (LOPG). Together with the Orion and SLS Programs, the LOPG is central to advancing and sustaining human space exploration goals, and is the unifying single stepping off point for human cislunar operations, lunar surface access and missions to Mars. As one might expect, EMC for all this activity is challenging, to say the least. In the next half-hour or so, I will talk about some of those challenges and how the different programs are meeting them. Dr. Robert Scully (Bob) is the Johnson Space Center E3 Group Lead Engineer and is the lead for the Community of Practice for EMC within NASA. Bob supports NASA’s major programs including the International Space Station (ISS), the Multi-Purpose Crew Vehicle (MPCV; AKA Orion), the Space Launch System (SLS), the Commercial Crew Program (CCP), and the Lunar Orbital Platform-Gateway Program (LOPG), providing expertise and guidance in development of tailored electromagnetic compatibility specifications, including control plans, interference control testing methodologies, ESD control, and lightning protection and test. Bob has served as the President of the IEEE EMC Society, the VP of Technical Services, Chair of the Technical Activities Committee, Technical Committee 1, and Technical Committee 4. Bob served as an Associate Editor for the EMC Society Transactions for several years and is the founder and currently the Chair of the Galveston Bay/Houston EMC Chapter. 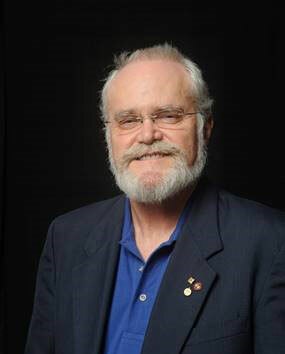 Bob is currently the Chair of the EMC Society Education Committee. Bob holds a PhD from the University of Texas at Arlington in Electrical Engineering with strong emphasis in electromagnetics, is an IEEE Fellow, a registered Professional Engineer in the state of Texas, a licensed commercial (PG-12-27194) and amateur (N9RCS) radio operator, holds various EMC certifications from the University of Missouri-Rolla (now Missouri University of Science and Technology) and iNARTE, and is a member of Tau Beta Pi and Eta Kappa Nu.